Copyright: entrants agree to have their submitted name and image displayed on our website and used by us for any purpose, at any time, without any fee or other form of compensation. The photographer retains the copyright of their submitted entry. 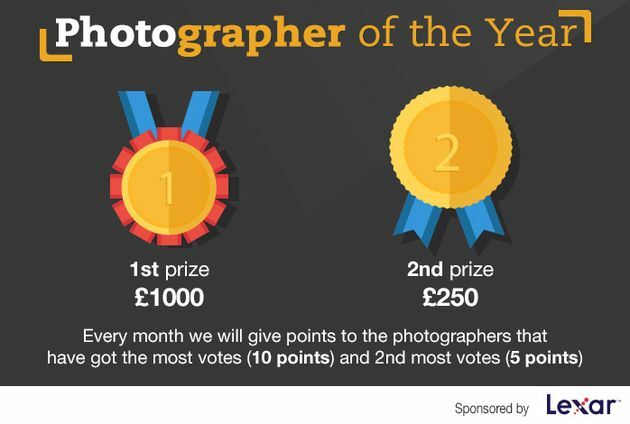 To win the Photographer of the Year award you must accumulate as many points as possible throughout the year by participating in monthly contests. Every month the two photographs that receive the most public votes will receive 10 and 5 points respectively. Each person is allowed to enter up to 30 images per calendar YEAR. Online submission of digital photographs via the website. Image requirements: up to 2 MB in file size; no shorter than 400 pixels on the longest side of the image; 1000 pixels on the longest size with a resolution of 72 dpi would be ideal.